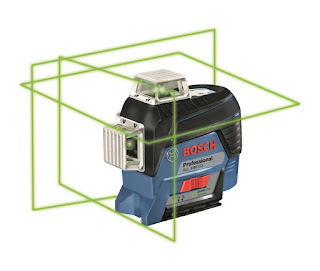 Bosch Power Tools India has launched its new range of Measuring Tools. Bosch GLL 3-80 CG Professional Bosch GTC 400 C Professional. The Bosch GLL 3-80 CG Professional (Green) is for better visibility at the construction site - three-plane levelling and alignment. This line laser generates three 360 degree green laser planes - one horizontal and two vertical - for level, and alignment applications. 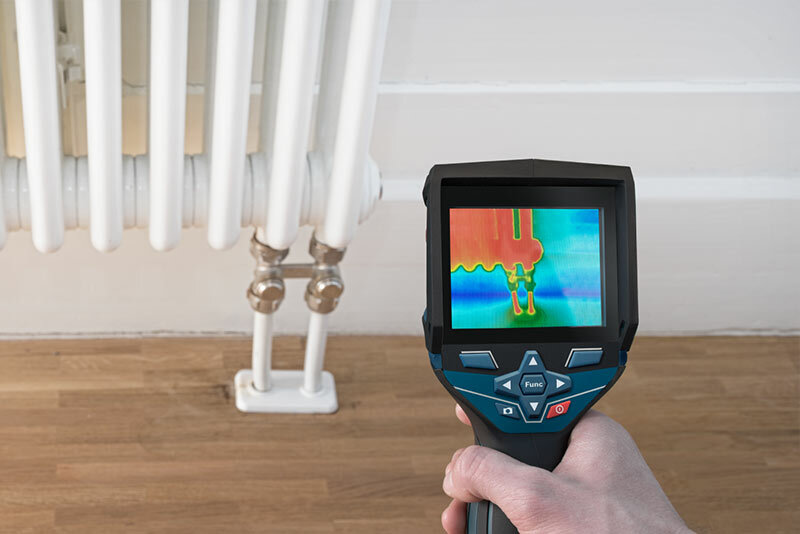 The GTC 400 C Professional generates a conclusive thermal image with detailed temperature of focus points and surrounding therefore helps to assess the situation quickly. Additionally, it provides important findings for preparing offers and enables the results of work to be checked. The dual power supply provides users with flexibility: The tool can be operated both with a rechargeable battery and with alkaline batteries. With a wide field of view of 71 degrees, the thermal imager provides a detailed picture, even when the image is taken near the object. 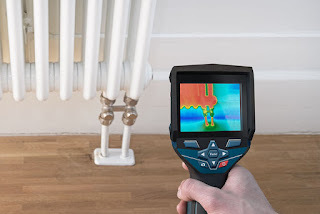 In the saved thermal images with a resolution of 160 x 120, each of the 19,200 pixels on the 3.5 inch display corresponds exactly to one measuring point and provides a detailed, informative thermal image. Thanks to the high thermal sensitivity, even the smallest temperature differences can be displayed. The dual power supply provides users with flexibility: The tool can be operated both with a replaceable 12 volt rechargeable battery from the Professional range and with four alkaline AA non-rechargeable batteries. For use on construction sites, the tool has IP 53 dust and splash protection. These new tools will be available very soon on amazon.in.